A bar where you can watch the game is always a good idea. 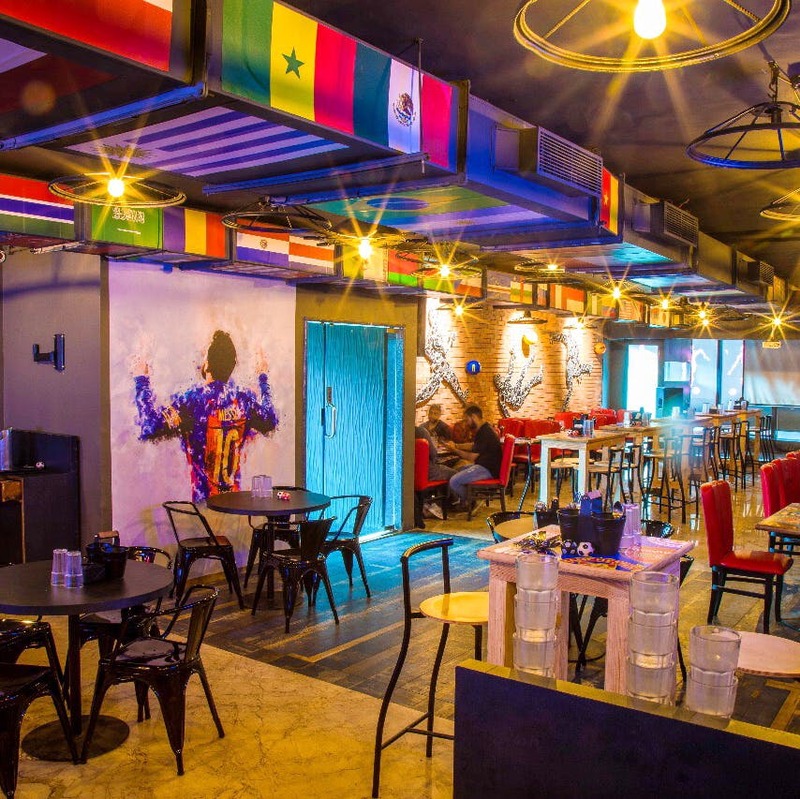 But Playoffs Sports Lounge offers not just screens, but also an ambience that'll make any sports fan envious. The space is decked up with football club posters and logos, giving it that feel that usually pubs in the UK would have. They have tires as seats that hang like a swing at the bar. And large booths dominate the space making it group-friendly. For food, you'll find the usual suspects. You have your generic finger food: nachos and fries to kebabs and other hakka and manchurian appetisers. Indian, Chinese and variants of pizza and pasta are offered for mains. At the bar, order up a classic cocktail or nurse a beer through the night. Your focus is definitely just going to be a game and having fun. A meal for two will set you back approximately INR 1,500. But be sure to go with a large group, because that's always more fun, right? We'd love to see group offers and pitcher options for alcohol and food. Save this for a day when there's a match you really want to watch.